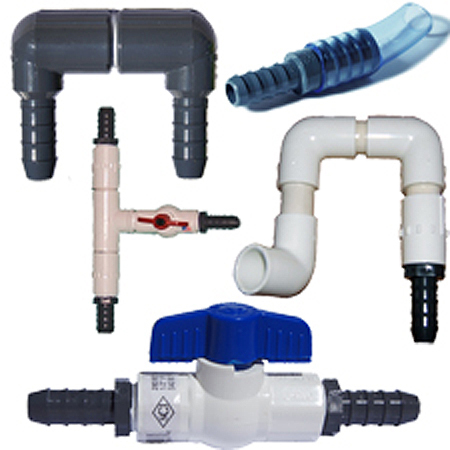 All these fittings can be used for your pond, fish, garden, irrigation, or other similar applications; but not all are NSF certified for use in inspected home/commercial drinking water applications. 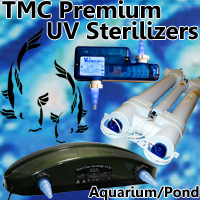 •	For use with Vecton, Terminator, or any other under aquarium UV Sterilizer. 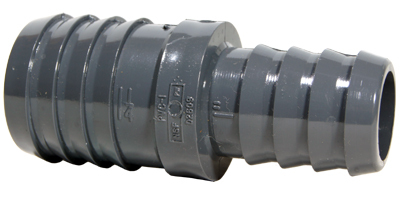 Also for use with in-tank power heads, FSB Filters, or internal filters to safely return water to the aquarium. 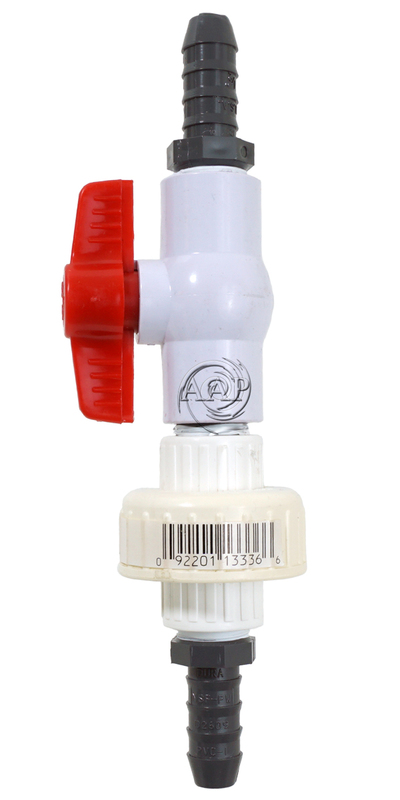 •	Prevents tubing "kinks" when powering a UV Sterilizer or other device with an internal filter or pump. 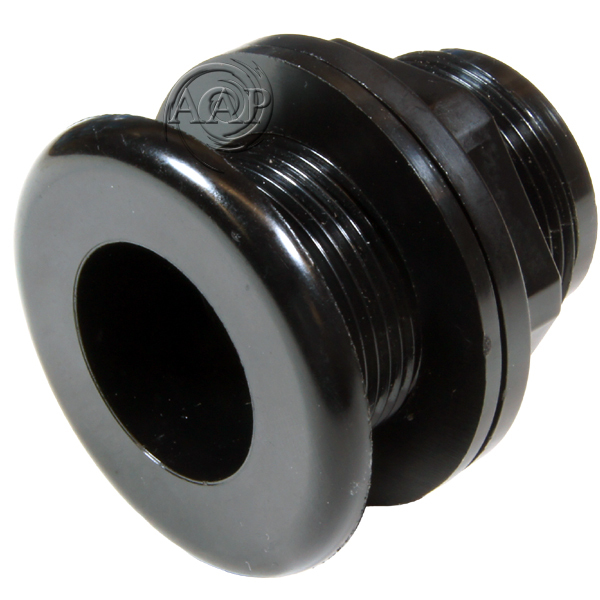 •	A universal 'U" type water intake adapter that will fit most Aquarium Canister Filters that have either 1/2" or 5/8" (approximately 12-16mm) ID Tubing to the intake side of the canister filter. Examples include: Eheim 2215, 2215, 2217, Via Aqua 750, SunSun 402 & 303, AquaTop 300 & 400, and many many more!! 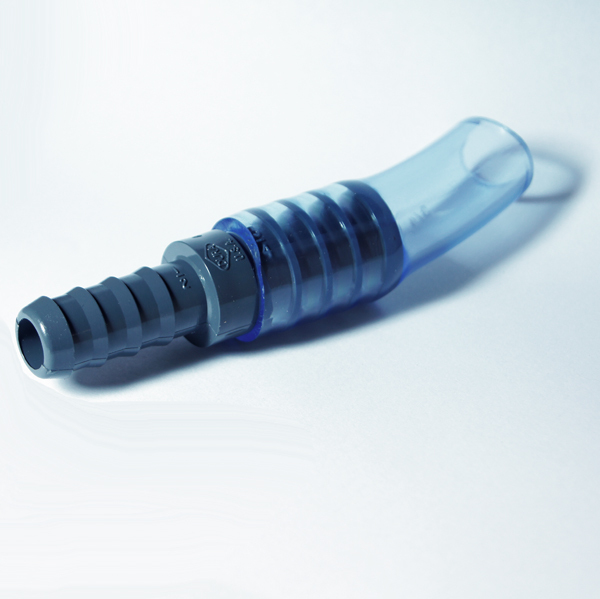 •	As well the hose barb insert can be swiveled 360° for even more application possibilities such as a spray bar. 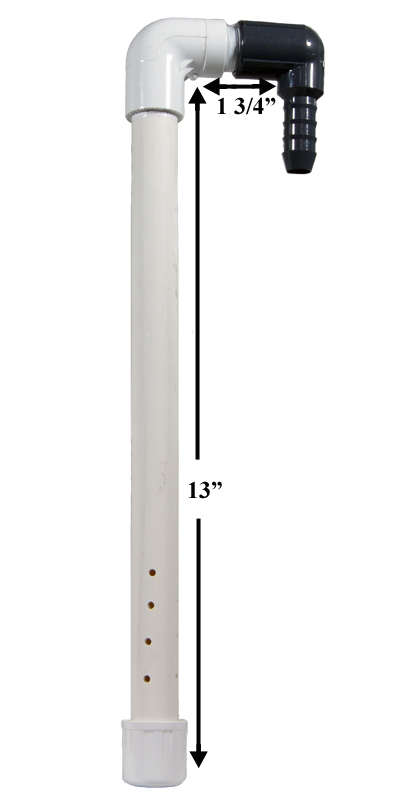 •	This can also be used as a vertical water return bar to diffuse water deeper into the aquarium than our standard Return Adapter"
•	Dimensions: 13" pipe with intake holes on 4 sides; 1.75" inside width to fit over aquarium. 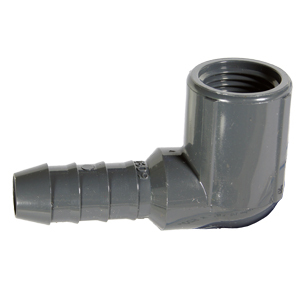 The coupler/reducer Includes 3 inches of 3/4" tubing which can be cut off if not needed to make for more convenient applications where only a small piece of tubing might be needed. 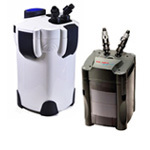 Two are suggested for the 9 or 18 Watt Terminator so as to attach to an Eheim Filter, Powerhead, Filstar, or many other other filters. 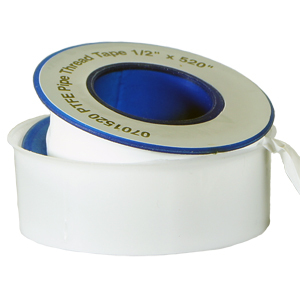 Useful for splicing 3/4" (20-22mm) to another 3/4" (20-22mm) tubing section. 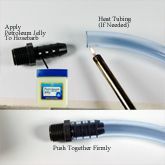 Helpful in making corners or looping tubing over aquarium tops without "kinking"
•	Recommended for use with many bulk head applications so as to fit common 3/4" filter and UV Sterilizer tubing connections to common 1" Bulkheads fit to 1-5/8 to 2" holes in aquariums. •	For use with ponds, sumps, or any high flow water application where the flow rate exceeds the recommended GPH per watt (flow rate & turnover rate), so as to allow a bypass of water around the UV Sterilizer. 1 inch by 3/4 diverter recommended for SunSun/Terminator 18 watt or larger UV. •	A simple and inexpensive way to divert flow for UV Sterilizers, Pond Veggie Filters. 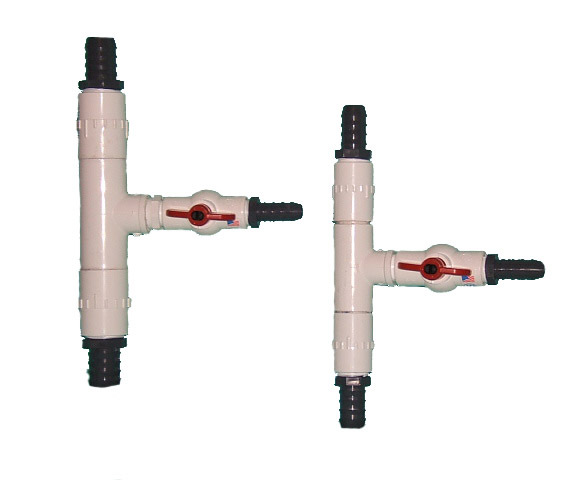 Use of our ball valves below can be added inline for better control. 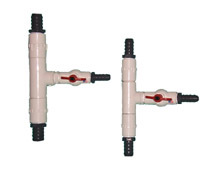 As well multiple Hose barb T's can be combined too. 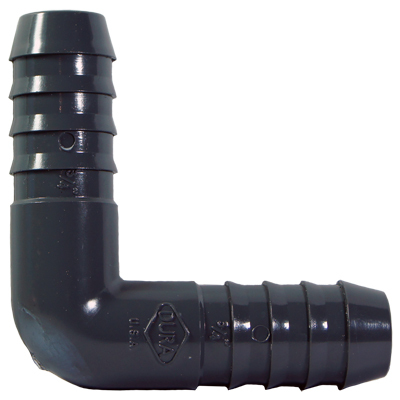 •	3/4" PVC pipe slips into the bottom of the bulkhead and any standard 3/4" PVC or ABS part can be screwed into the top. 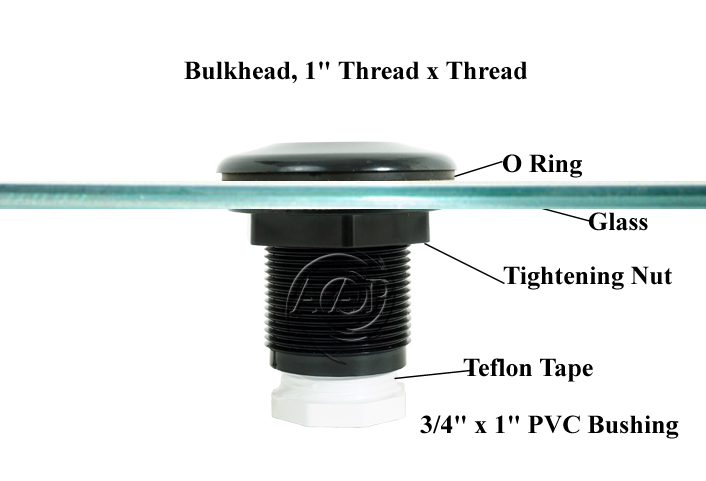 The Bulkhead is easily hand tightened using the FPT tightening nut; NO glue needed, self sealing! 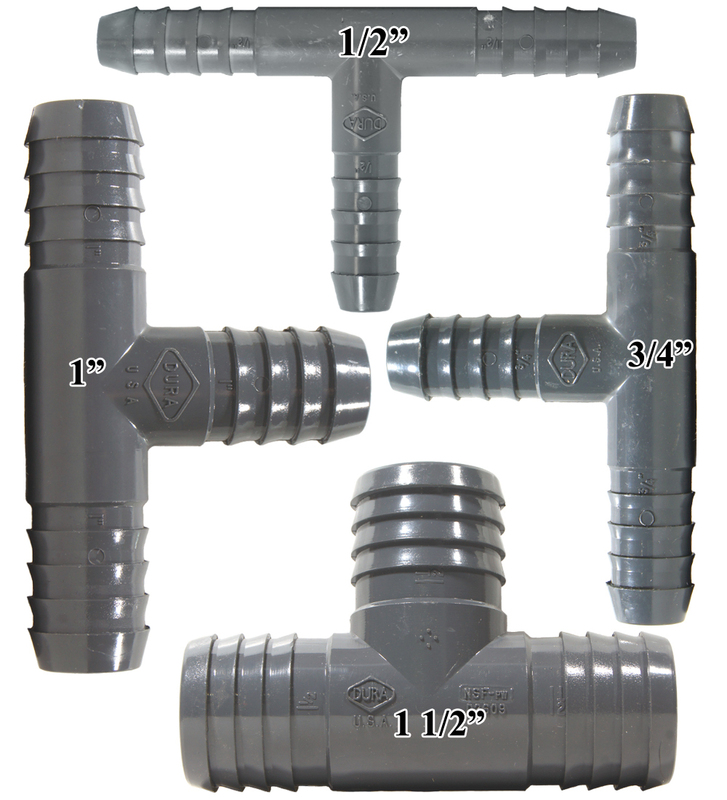 •	Insert Dimensions = 1-3/8"; Tightening Nut Dimensions = 2"
•	Most popular size & type!! 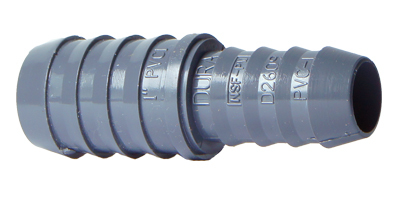 •	1" PVC & ABS fittings thread into each end and the bulkhead is easily hand tightened using the FPT tightening nut; NO glue needed, self sealing! 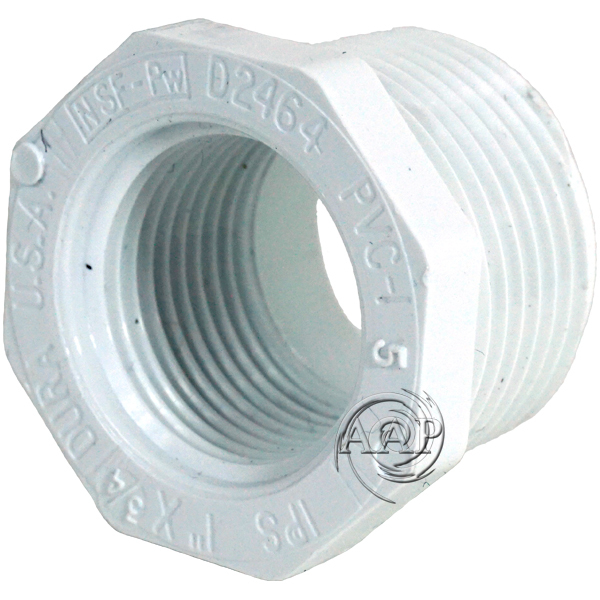 •	Insert Dimensions = 1-5/8"; Tightening Nut Dimensions = 2-1/2"
•	We recommend Part 12B (3/4" x 1" Bushing) to fit most common 3/4" tubing filters, UV Sterilizers, etc. 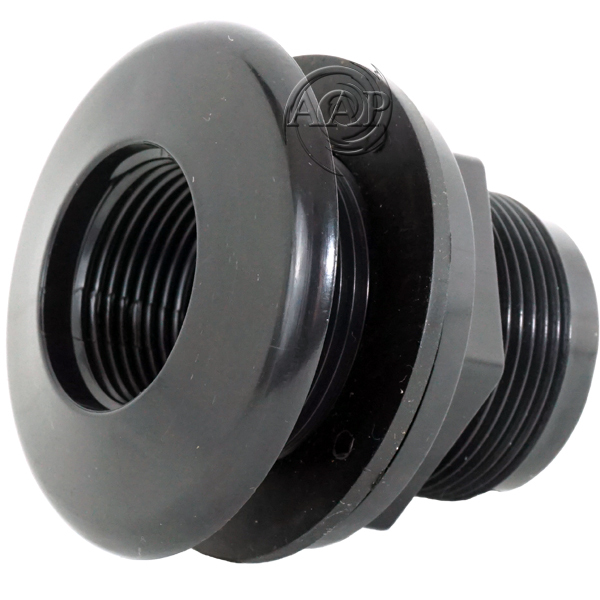 to this popular bushing. 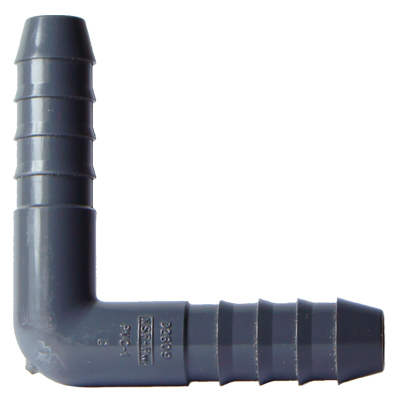 A part (9B) 3/4" Male Hose Barb can then also be added to connect tubing to the bushing from under the aquariums or wherever the bulkhead is utilized. 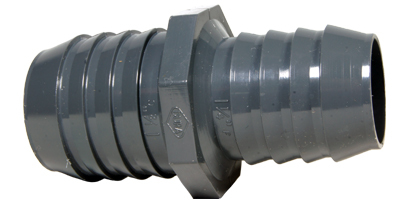 •	Hand tighten or slightly wrench, over tightening does not provide a better seal and can result in bulkhead failure. When used correctly, Carl Strohmeyer (the owner of AAP) has had these ABS bulkheads last decades, not a just a few years as implied by some inaccurate YouTube videos. 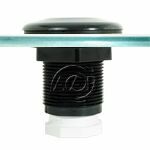 To provide more security from leaks, Carl suggests adding a small bead of quality aquarium silicone on both sides of the bulkhead just prior to final tightening. This idea was handed down to him by an old timer aquarium builder years ago and it has allowed him to have bulkheads last as long as the aquarium itself!! Recommended viewing for proper Bulkhead use! 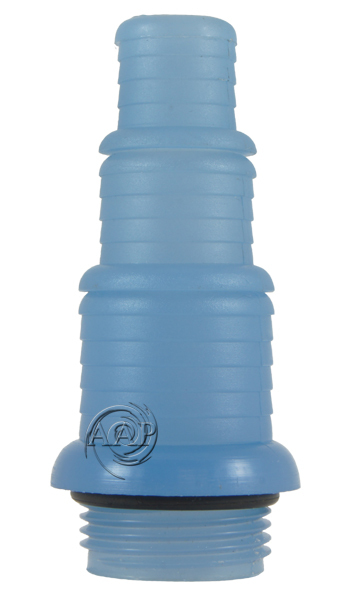 •	For use with UV Sterilizers, FSB Filters, Canister, & Micron Filters and much more. 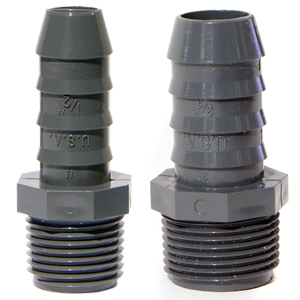 •	SUPERIOR to popular disconnect and disconnect/valves such as those pictured to the right which are more prone to leaks and of a much less sturdy design. 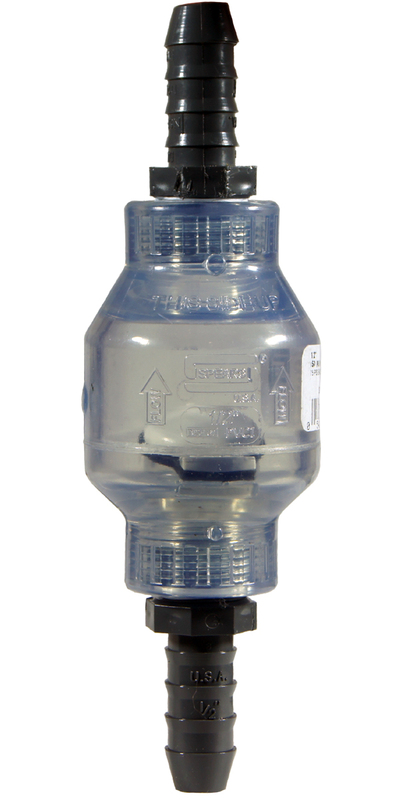 •	Unlike Swing Check Valves sold elsewhere, this one is a "ready to go" COMPLETE unit with male hose barbs for easy connection into 1/2" to 5/8" flexible Tubing. 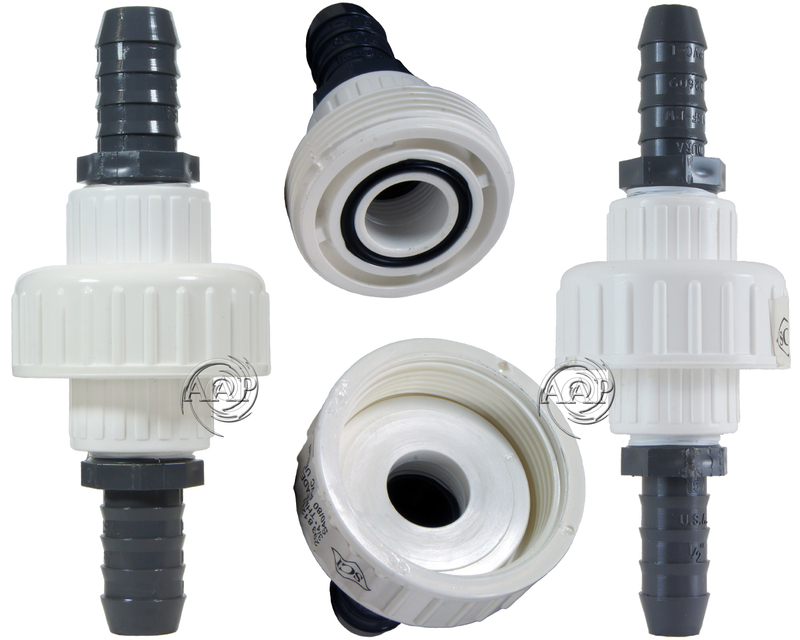 •	Swing check valves are better for most aquarium applications over spring check valves as they require less pump pressure and thus restrict flow much less. •	(#17) Fits 1/2 to 5/8 inch ID Flexible Tubing while (#18) fits 3/4 inch ID Flexible Tubing. •	Best Placed before the filter or pump, anywhere water can back up in a sump system, or before a return that is under water such as with wet/dry sump, FSB filters, or some canister filter applications which can potentially allow water to back up in the event of a power or pump failure. •	Recommended (only one side) to better control your SunSun or similar Canister Filter flow rate, especially to maximize a UV Sterilizer. •	Fits 1/2 to 5/8 inch Flexible ID Tubing. •	Especially useful to maximize a UV Sterilizer. •	Fits 3/4 inch ID Flexible Tubing. 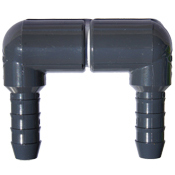 •	Fits 1 inch ID Flexible Tubing. •	Fits 1.25 inch ID Flexible Tubing. Excellent for use in aquariums where regular water changes are required while vacuuming of substrate is not such as planted aquariums utilizing the Estimative Index method of dosing (EI). There are no better UV Sterilizers at Any price!